Thank you Chick-fil-A kid's meal bag for this awesome idea. Every summer I see a lot of people making their lists for the fun activities they want to accomplish with their kids. 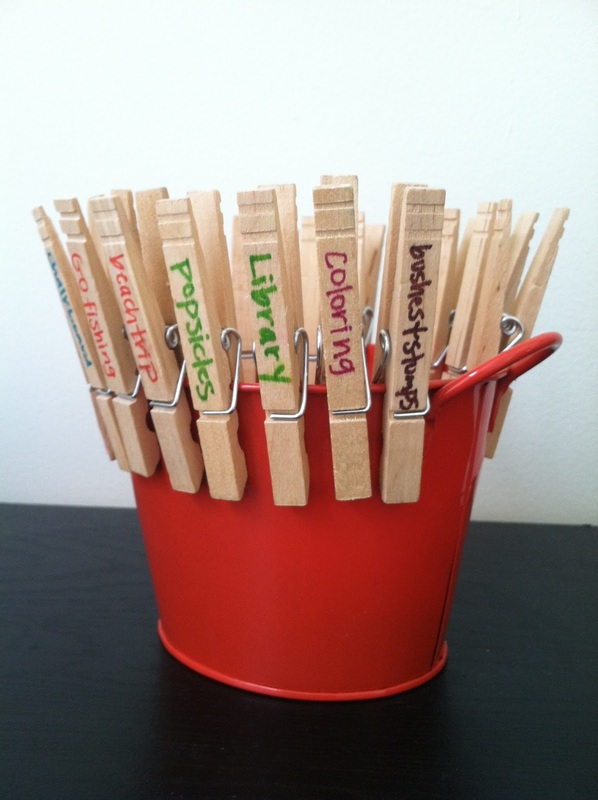 I thought this clothespin bucket idea was a lot more fun. 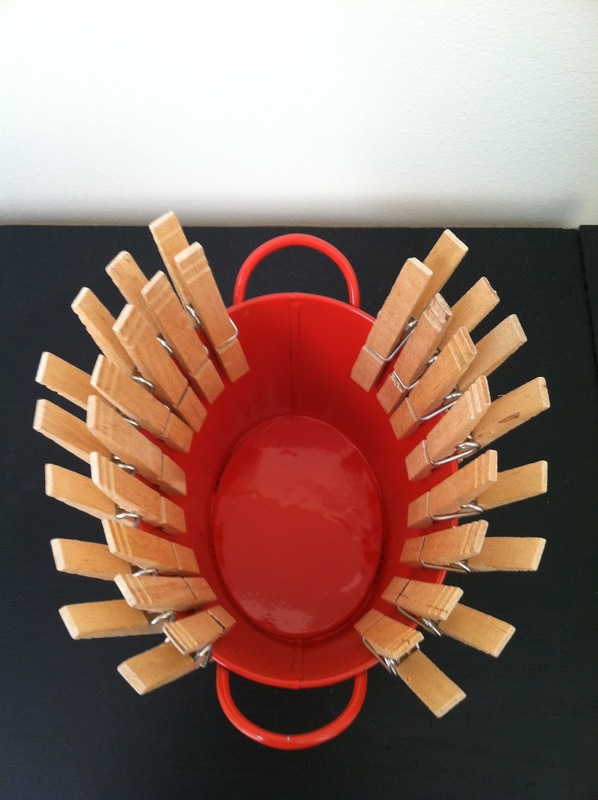 Ande helped us come up with ideas, which I wrote on the clothespins, then he ever-so-carefully clipped each one to the edge of our little red bucket. 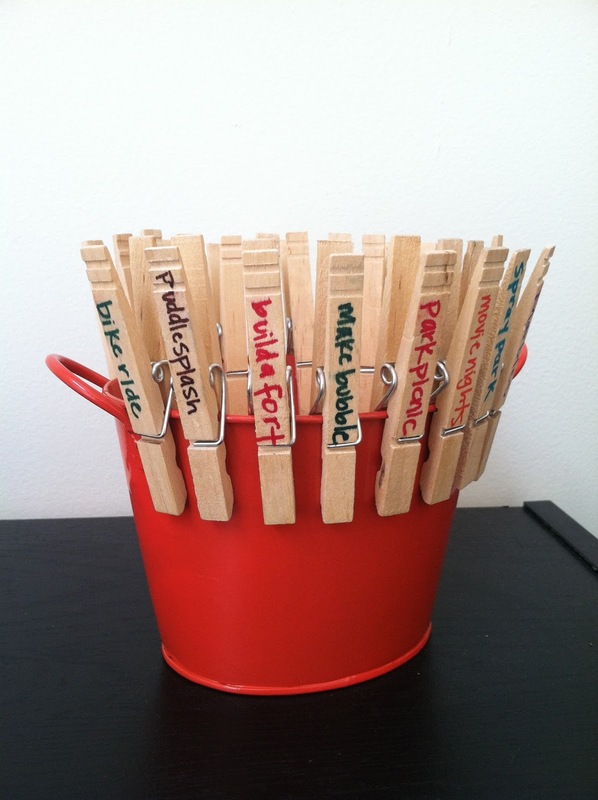 Every time we check off one of our summer activities, Ande will take that clothespin off and put it in the bucket. This will make it easy to keep track of what we have left to do!